Jerry and LisaPage Carter and their three sons are taking their bicycles out for a ride on Tuesday. They expect to be back in about four months. 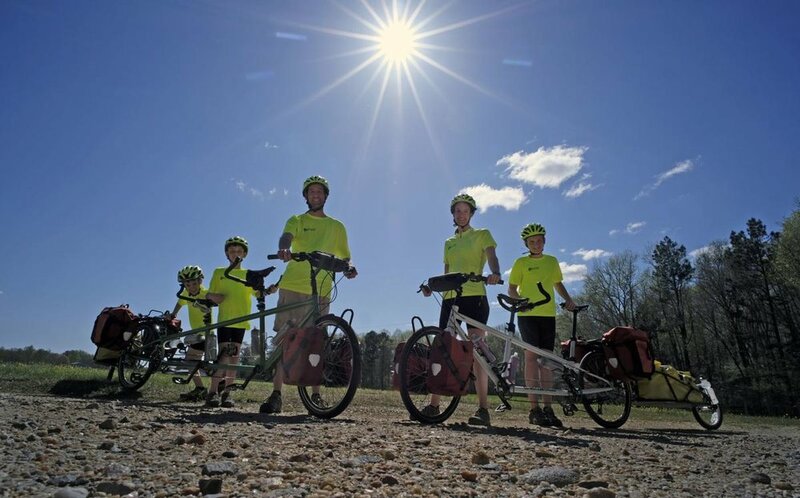 The Virginia family is planning to pedal across America, an ambitious adventure that will cover more than 4,000 miles and include countless peanut butter sandwiches. 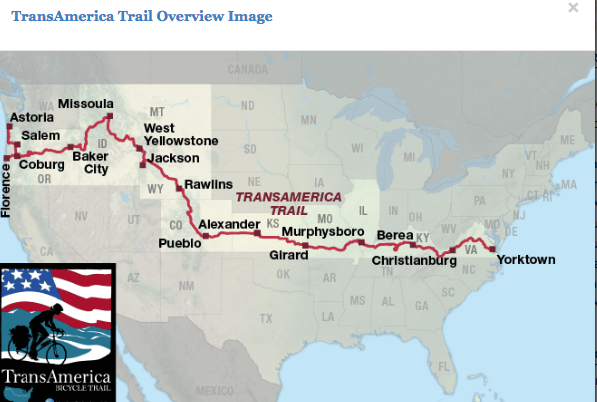 They will ride two bicycles — a bicycle built for three and another built for two with a parent taking the lead on each — each towing a trailer packed with provisions, clothing and gear. Among their belongings are the two tents they will pitch most nights along the way. What’s not to love about a honeymoon in Florida? Newlyweds have enjoyed lounging at the beach, touring Disney world...and now volunteering at ECHO! Just four days after their wedding on April 15th, Rachel and Jared Scoville dropped by ECHO for a day of volunteering and a tour. When Jared went to school at Gordon College, he went on the school’s annual spring break trip to ECHO. He had the opportunity to become fully immersed in the experience of working there, including reinforcing the Global Classroom for hurricane protection, tending to the rabbits and working in the fields. Jared had so much fun, he started growing a Moringa tree in his dining room. “I told everyone I knew about the Moringa tree just cause it was fun to talk about. Even to this day it's in our garden right now. I’ve gardened ever since.” Jared said. When the Scoville started to plan their honeymoon, they thought Florida would be a good chance to go to the beach and visit ECHO. Rachel had heard all about Jared’s fond memories from the farm, but didn’t quite know what to expect when she arrived. After taking a tour, she understood Jared’s excitement. “It was truly an amazing experience. I was really blown away by ECHO and the impact they have around the world,” Rachel said. Today, Rachel is working as a behavioral analyst in their town of Bristol, Connecticut. Jared is working toward his doctorate degree in physical therapy at the University of Hartford in Connecticut. In their free time the Scovilles tend to their 50x50 garden plot where their Moringa trees are growing. If you are passionate about ECHO’s mission, sign up for a volunteer position on ECHO’s volunteer page. George and Lollie Peckham, June 2014. Lifelong learners, missionaries and faithful prayer warriors are just a few of the terms that describe George and Lollie Peckham. They first discovered ECHO 20 years ago when visiting friends on Sanibel island who invited them to tour ECHO’s Global Farm. After conversations with Dr. Martin Price about ECHO’s need for full-time volunteers they committed first to annual winter visits, and then relocated to Florida. George and Lollie were uniquely equipped to share their gifts and talents with ECHO. They remember the light bulb moment when they felt the Lord was directing them to move from Maine to serve in North Fort Myers. Long before George and Lollie arrived to ECHO, they traveled extensively throughout the U.S., Caribbean, and Latin America both in their professional and personal lives. George is a native of Reno, Nevada where he was raised on a dairy farm. Lollie was born and raised in Harrisburg, Pennsylvania. They met at the College of Wooster in Ohio during wartime in the mid-1940s and were married in 1946. After George’s graduate school work at the American Institute of Foreign Trade, (now called Thunderbird) he was hired by Ralston Purina to go overseas. He, Lollie and their three young children set out on an adventure over the next two decades to Puerto Rico, Panama, Colombia, Venezuela, the island of Martinique, which they described as their “Walden Pond,” and lastly to Guatemala. ECHO has 400 + volunteers that keep us going. 16% of our funding comes from our retail nursery and bookstore and other earned income. 84% of our funding comes from individuals, congregations, foundations, and corporations. 83% of all received donations go to program costs, 9% to management and administration, 8% to fundraising. ECHO is blessed by many volunteers, especially when NOMADS arrive each year to the Florida campus. NOMADS, which stands for Nomads On Mission Active in Divine Service, is a United Methodist organization made up of retirees who travel in RVs. With 1,100 members, they help to build or repair homes, churches, camps, and other Methodist-related ministry sites.